Playing possum with my inner child. It is said that animals appearing in our lives are symbolic. They represent a message for us. I never paid that much heed, but back in 1996, during a very intense period of growth, I had an incident occur that, to this day, still makes me smile. I was on my way out for a drumming session that was run by a healing circle I was a part of back then. Just before I left, a very strange incident occurred. It was dark by the time I was ready to leave and I went down to my computer room to pick up something. This room was underneath the house. It was separate and could be only entered from the outside. The door had a glass insert and curtains covering it. As I went to unlock the door, I noticed that the curtains appeared to be moving, as if they were being blown by the wind. But I knew that was impossible as there was no source for a breeze. I took a closer look, and my heart almost skipped a beat as I found myself staring at a small face. At first, I thought someone was in my room, and was acting in a deranged manner. But I stood my ground, and took out my pocket torch, and shone it onto the face. It turned out to be a possum! A baby one at that! But how one had found its way into my room, which was sealed up tight, was a real mystery. I entered the room, and turned on the lights. I realised that I couldn’t remove it without it biting me, and I had no time to mess around. So I decided I would deal with it after I came back. So I left it clinging to my curtains. When I got home, I went down to the computer room, and found that the possum had moved. I quickly found it snuggling next to my computer case! I could hardly believe it. It was resting just on my mouse cord, and looking as cute and as peaceful as it could. And even when I booted up my PC, and started typing away to my online friends, it didn’t move away. It was still resting against the case, and I knew I had to free it. So, I emptied a tissue box, put my mouse mat underneath, and put the box on top. It hardly resisted! I quickly took it outside and set it free. 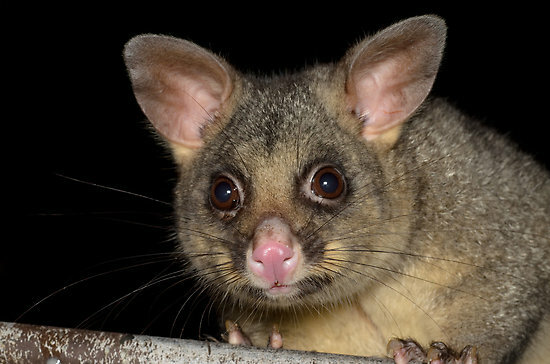 The message of the possum was lost on me until a few days later where I experienced a rebirth of sorts and found that my inner child had been not only repressed, but crippled. I was told later that the possum was said to be a representation of my inner child and me freeing it was what happened a few days later. When I did break down the walls the encased it, it was life changing. It was as though my entire being experienced a rebirth. People often see animals in their lives. Some are common, others tend to be rare. It’s those rare ones that should make you sit up and take note. What is the message? What are they trying to tell you? ← Somethings you have to go one step back in order to go two steps forward. Its funny, after reading this I just realized that every time I’m driving or in the car with my parents, animals never get hit. I’m not sure if it’s just by me or by me and my parents, ever since I started driving (even before) I came into almost hitting an animal or seeing them, slowing down and usually a car is not really behind me, just the other day I stopped for a cat to walk across one small entrance inside a parking lot so I can turn and park. And a few days later I was driving down my neighborhood and a cat jumps right out in front of me and I slow down. Even when my parents are behind the wheel and can’t stop, they just go under the car and come out. We’ve came across, deer, squirrels, turkey, cats, dogs etc. I know if anyone else was behind the wheel, they’d become road kill sadly, there was only one time where someone else slowed down a few cars ahead of us and let a coyote pass. I wonder why it’s always like that with me? I just hope to keep it that way and not hit any soon(or have anyone else around me do it). Thanks for sharing. Maybe their spirit senses you coming. Wow I love that story about the eagle. Thank-you. So glad she healed and that you saved her life. I just want to say that through March I received from messages from the goddess Sekhmet in regards to healing energies being directed to Earth via the eclipses we are seeing in April. Solar eclipse 4.15 p.m. Queensland time today 29th. She told me to wear a representation of her so I found a jaguar piece and made it into a pendant. On Sunday wore it and was a reader at an energy day, and driving in I was told she would send me a message which I later forgot about. During the day I noticed a tabby cat with a red collar out the front on the road. I went out and picked it up. It reminded me of a cat I had years ago and it was a nice contact with the cat. Wasn’t till the next day I realized Cat/ Sekhmet. Duh! Possums are lovely. I have an old male that visits me regularly at my door for his dinner. We’ve been good mates for years. I really miss him when I don’t see him for a while. I know she has a bad rap, but she came through to me as a very strong healing energy for the Planet. But, very efficient. I have always had a special affinity for animals and, it seems, they may care for me as well. I would like to relate one very special occasion. I saw something and did a double take. Several feet in front of me was a bald eagle.” I called to my friend and as we slowly and quietly walked towards this magnificent creature, the bird began scurrying into a thicket of thorns and could not fly. We went over to it and spoke very softly. we put a jacket around her and I gently pried the talons from the branches. He was able to lift the eagle and, while covered in the blanket, we carried her to my car. (There is a hawk sanctuary about 1.5 hours from where we were).. He kept her on his lap and she was so large that her back half was on my lap while I was driving. Rob sang very softly in Lakota language. The bird did not struggle. After 30 minutes, I suggested we take off the blanket. This amazing creature was very calm; looked me straight in the eye and actually allowed me to pet her head, smooth her back, and lift her talons. I have never felt so humble and filled with love in my life. Her eyes were black, piercing and very deep. I could have looked in them for hours. They were primitive yet seemed very wise and knowing. She never turned away from me. By the time we got to the Sanctuary, it was dark but fortunately the Sanctuary was open. We were asked to put the eagle in a playpen to keep her safe. As soon as she was in the pen, she went berserk. Crying and flapping. Long story short, the vet came as she had a broken wing. The wing was repaired and while recuperating, she went into shock and began losing feathers. I went back to the Sanctuary several times and called daily to check on her condition. I wasn’t able to go into her area. Eagles go into shock very easily and could die. However, there was a television monitor so I could see her. The area is kept very quiet and only a few of the caregivers (who have a lot of experience) are allowed in. We found out that the eagle was a female, juvenile and about 4 years old. The caregivers told me she was one of the most aggressive eagles that they had seen. And yet she was so calm with me. They told me I was very fortunate that Dakota (as I named her) did not attack me while in the car. But I never felt threatened. I felt a bond and a love for her. And very humble. The sanctuary agreed to release her to the woods where I had found her and she was released in a Native American ceremony. I cannot explain the joy and fullness in my heart. I know this is a long story and I did edit it quite a bit. It is a very special part of my heart. Wow, Elaine, that’s a wonderful story. It’s clear you have a connection there. I find that if you send thoughts to animals, they tend to respond.